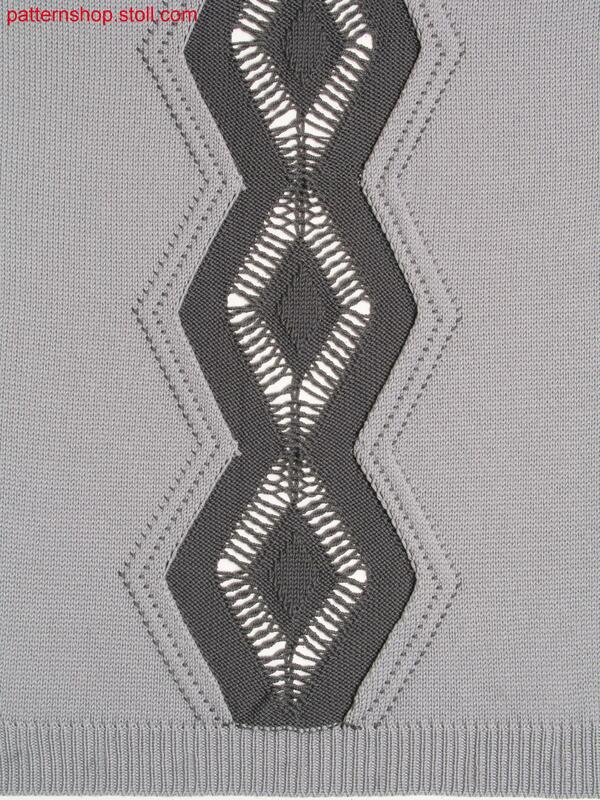 Intarsia pattern with concealed intarsia edges, ligature pointsin the other colour field and pointelle structure. Intarsiamuster mit verdeckten Intarsiakanten, Bindungspunkten im anderen Farbfeld und Petinetstruktur. 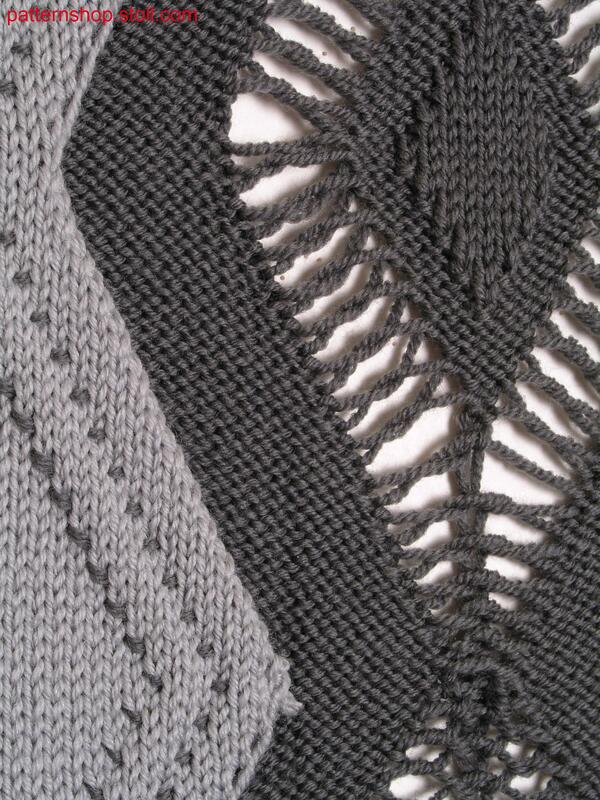 1 knitted fabric(s) / Strickteil(e) 26 min. 49 sec. 1.00 m/sec.